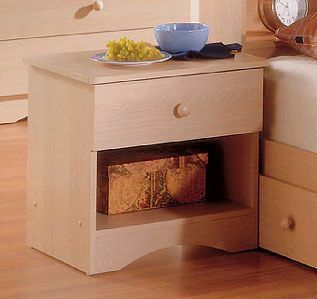 More on the Nexera Alegria Series Bedside Table 5601 below. The simple, sophisticated and modern style of Nexera's "Alegria" collection makes it the perfect long-term solution for children and teens. 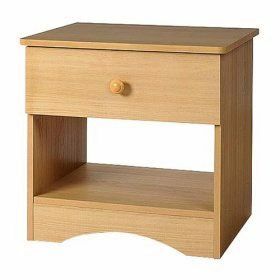 One easy-glide drawer and one open, lower shelf, offering convenient, bedside storage for books, glasses, lamps, nightlights and alarm clocks. Full metal drawer glides for smooth, reliable movement. Premium-quality particle board and MDF (Medium Density Fiberboard) construction. A warm, natural maple finish. See "View More Images" or "Related Products" to preview more pieces from the "Alegria" collection.